Dental Care Woodbury: Should You Consider Using Charcoal Toothpaste? Whether you are scrolling through pages of your favorite website or you are flipping through a magazine, you have probably seen an ad of some sort that is promoting something known as charcoal toothpaste. It seems that everyone is talking about this product and what it can do to benefit people in a number of ways. As dentists, we get a ton of questions about whether or not this product is actually as great as everyone seems to make it out to be. Our patients want to know whether this product is safe to use and if it is something they should invest in. In this post, we will answer these questions and more. Continue reading below to learn about the details of charcoal toothpaste. While you may be picturing the stuff you use inside of your grill when you have friends over for barbecues, these two are not the same things. Also known as activated carbon, activated charcoal is created in a process that uses high heat and materials like coconut shells. When the process is complete, the end product has millions of tiny pores. In these pores are where toxins and chemicals become trapped. Known for its detoxifying powers, activated charcoal has gained much popularity in recent years. In fact, it is so powerful that hospitals use it often to treat patients who have been poisoned. This works as the charcoal is able to bind to the chemicals and prevent whatever harmful substance from being absorbed by the stomach. Activated charcoal is known to have many purposes. People use it to cleanse their skin, whiten their teeth and even prevent their hangovers. It works by trapping any unwanted materials, toxins and chemicals in your body. This process is known as adsorption and entails the activated charcoal working through elements binding to the surface. Charcoal products are quite abrasive. For example, some of these toothpaste feel as though you are grating sand over your teeth. This is certainly something that is enough to make us all shudder. When you use a charcoal toothpaste that is too abrasive, it could actively wear down your enamel over time, causing permanent damage to your teeth after continued use. This is why you should be picky when it comes to choosing the right charcoal toothpaste for you. If it feels too gritty, it probably is, so don’t use it. While many people claim that their charcoal toothpaste has significantly whitened their teeth, there is actually no conclusive evidence of this. Dentists are especially skeptical of these claims as we know that whitening happens at a very deep level, and charcoal toothpaste is not on your teeth long enough to whiten them. Now let’s get to the real reason you’re reading this post: the benefits of using charcoal toothpaste. If you love wine, tea, or coffee, charcoal toothpaste may be able to do your teeth some good. Charcoal toothpaste is known to remove surface stains. While many people would liken this to whitening your teeth, surface stains are much more easily removed than those that cause your teeth to be that off-white that many people experience. The stain on the outside of your teeth as known as extrinsic stains and they are caused by many different things such as coffee, red wine, tobacco, and foods that stain like berries. Stains on the inside of your tooth, however, are known as intrinsic stains and those are caused by fluoride, weak enamel, damage, and medications. When you use charcoal toothpaste, the pH of your mouth is raised. This can help to reduce the amount of acid plaque that has built up in your mouth, which will lead to you having better breath over time. Charcoal toothpastes, for the most part, do not contain sodium lauryl sulfate (SLS). Nor does it contain artificial sweeteners or fluoride. This means that you won’t be exposing your teeth to things that can potentially harm them each time you brush. While you may think that your charcoal toothpaste is the same as your regular toothpaste, you would be wrong. When using your charcoal toothpaste, you may want to first smear it on your teeth and allow it to sit for five to ten minutes. This will allow the toothpaste to work it’s magic the way it is meant to. Once this amount of time has passed, you will then need to rinse and you are done. Again, we would not recommend that you aggressively brush your teeth with charcoal toothpaste as you may do irreversible damage to your teeth! 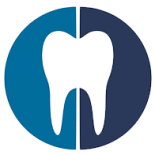 Want to consult with your Woodbury dentist beforehand? 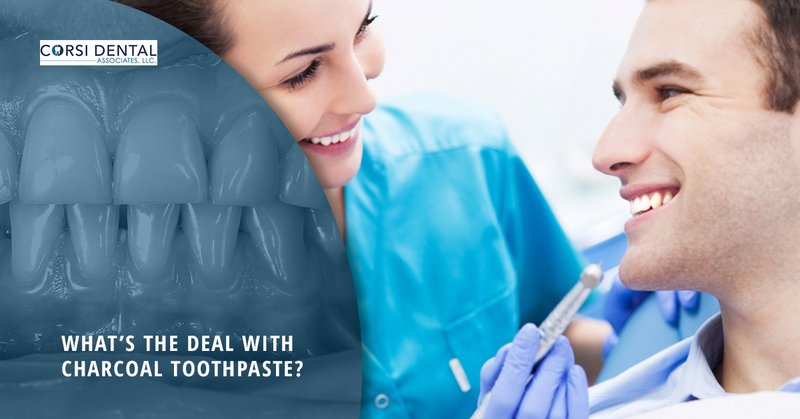 If you want to make sure that charcoal toothpaste is something you should be adding to your oral health regimen, you can always consult your trusted dentist at Corsi Dental. Using new products, especially on your teeth, can be a bit nerve-wracking so if an “ok” from your dentist is what you need, we’re here to provide it. Contact us today to schedule a cleaning and to learn more about what toothpaste options are available to you.